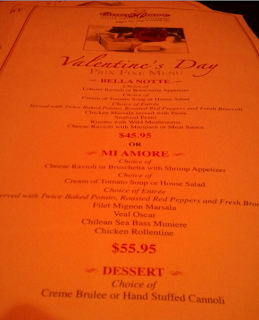 On Valentine's Day, my fiancé surprised me by bringing to Casa di Amore. The place gave off a vibe of a different time (as their slogan says, "Vegas the way is used to be!"). Pictures of old casinos and major Las Vegas entertainers from the past like the Rat Pack and Elvis Presley were displayed everywhere. Even the live music of jazz, Italian, and traditional pop set off a romantic vibe. 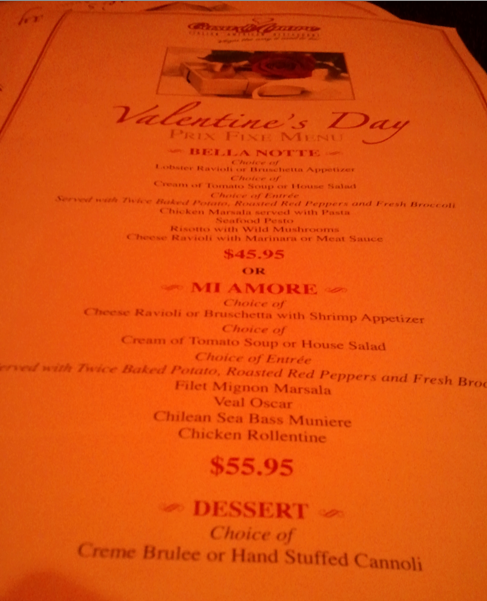 I chose the Mi Amore because I wanted to try the Chicken Rollentine (the way our waiter described Chicken Rollentine really persuaded me to try it!). Slices of chicken are dusted with wheat flour or bread crumbs, covered in ricotta cheese, seasonings, rolled up and baked. My chicken was full of flavor! 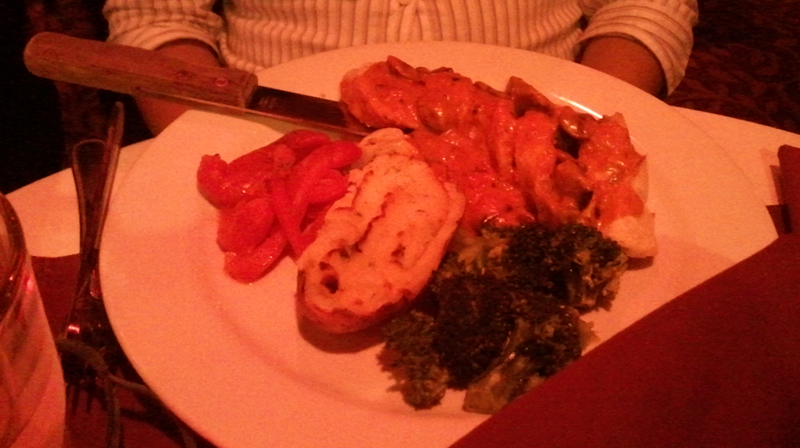 There was so much I couldn't finish it all. The side of the twice baked potato was very soft and and also full of flavor due to the cheese, I enjoyed every bite of it! 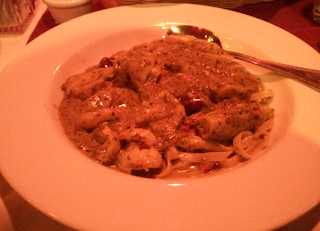 Overall Casa di Amore was a lovely place to dine at. This is a great place to go to when you're on a date with your significant other!